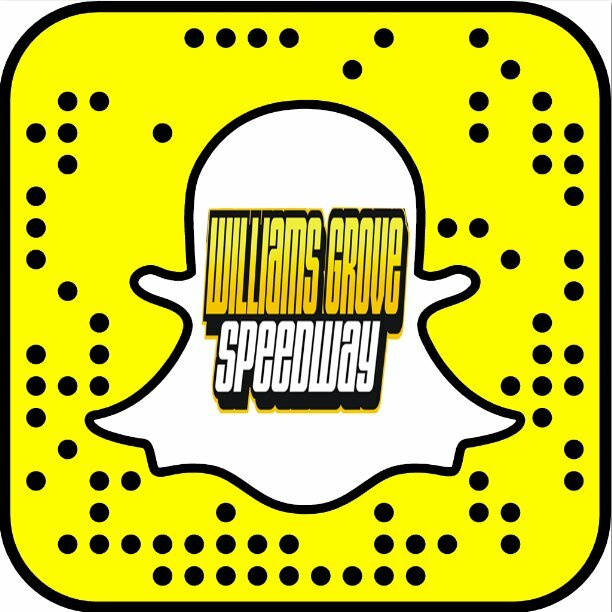 Mechanicsburg – The upcoming Williams Grove Speedway 53rd annual Champion Racing Oil National Open sanctioned by the World of Outlaws sprint cars has been expanded to a three-day format this season. The prestigious race is set for October 1, 2 and 3 at the historic Cumberland County oval. Saturday’s 40-lap Open will pay a whopping $50,000 to win with both the Thursday and Friday night shows offering $10,000 to win, 25-lap features. And what happens on both Thursday and Friday will set the stage for drivers to compete in the Saturday National Open. National Open event points will be awarded for final position in time trials, heat races, C main, Last Chance Showdown and the feature, on both preliminary nights. The new points system will reward drivers for consistency throughout the event and is ultimately used to determine the lineups on the final night of the National Open. The time trial leader is awarded 200 points with each subsequent position receiving two fewer points than the last; Heat race winners receive 100 points with each subsequent position receiving three fewer points than the last; the C main awards 94 points to the third place finisher with the top-two transferring into the Last Chance Showdown and each subsequent position after third receiving four fewer points than the last; the third place finisher in the Last Chance Showdown receives 150 points with each subsequent position receiving four fewer points; and the A main winner receives 250 points with each subsequent car receiving four fewer points than the last. The Heat race lineups will be straight up utilizing combined event points. Heat race finishes on the final night will be awarded points and added to the combined event points. The Dash will be made up of the Heat race winners, the four highest combined event point leaders and the top one or two in event points that did not win their Heat but did make the transfer. The overall Dash lineup will be determined by combined event points. Each of the rest of the races will be lined up by total combined event points with the Dash field setting the first 10 positions in the feature and the Last Chance Showdown transfers tagging the back of the A main. 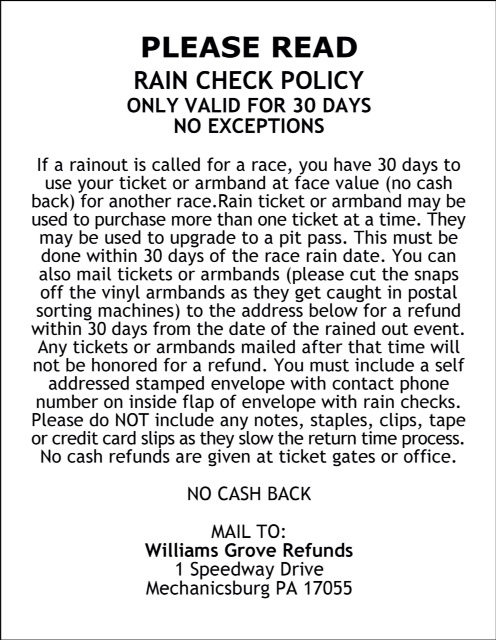 Four maximum provisionals can be utilized on each race night (two for World of Outlaws platinum teams and two for Williams Grove Speedway regulars). In other National Open news, it was announced on September 18 that a minimum of $1,000 will be awarded to the 2015 National Open Rookie of the Year in the event. Sponsored by The Beer Hill Gang, the highest finishing rookie in the overall event on Saturday will receive the title and award.